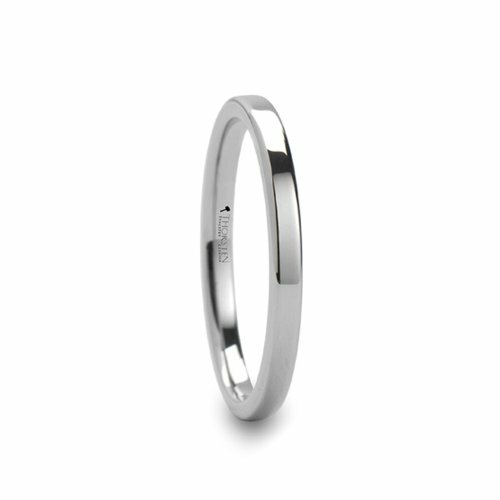 This classy and elegant band is 2mm with a flat design and highly polished finish.? White tungsten is made by bonding platinum to the surface of a tungsten band. Free Lifetime Warranty! Click on image below picture of ring for details. Free Engraving, please click on image below picture of ring to see instructions or contact us for details. Ring comes with Free 2 Day shipping, free ring box. We also offer free size exchanges if you purchase the wrong size. We are a real jewelry store with a physical location in Southern California. Many sellers on Amazon are just people selling out of their home.